In the past I've carried out interviews with directors about their completed films. But not this time. This time I'm going to talk about a film that has yet to go into production because I hope that once you become aware of this project you'll do your bit to make sure this film gets made. So go on, read on. Written and directed by the massively talented Damien Cullen, the budget for the film is being raised through crowdfunding, which, if you're not familiar with the term, is a way to raise public money to fund a private venture through an internet donation campaign. As traditional funding routes and opportunities dry up many innovative filmmakers have started to turn to crowdfunding to raise the money for their projects and Damien is one such filmmaker who needs your help. I've known Damien a couple of years and we worked together on one of my own shorts, 'The Man Who Stopped', where Damien was a first class producer. Well, he's also a first class writer and director and I had a few words with him about 'Clowning Around'. Hi Damien and thanks for having this chat. So first off, what's 'Clowning Around' about? 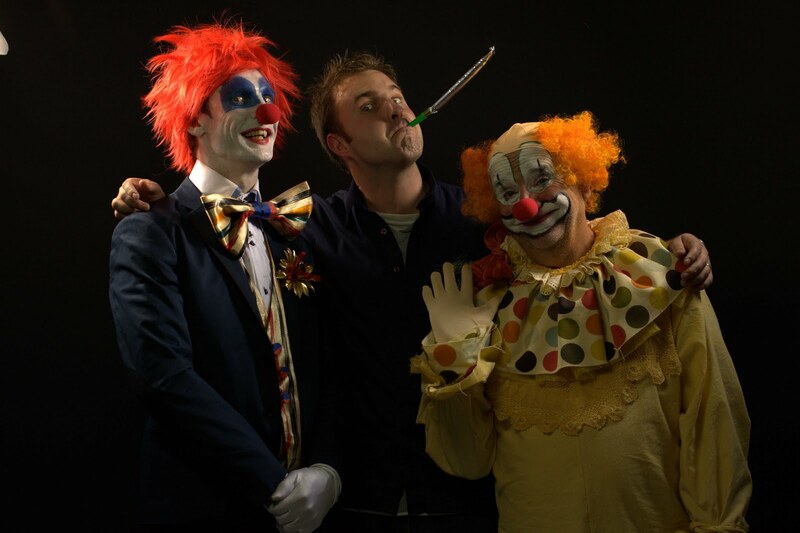 'Clowning Around' is essentially about one man’s struggle to overcome his addiction and get his life back on track. 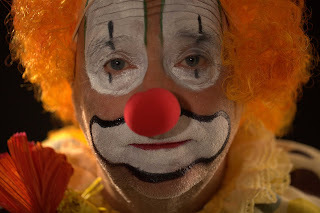 It follows the journey of an old school clown Bonzo, formerly the best in town, who after a few hard months finds himself at the bottom of a bottle. After a phone call from the union which threatens to expel him unless he gets his act together, he decides to get his business and self respect back, taking on his local rival, a younger, hipper clown called Mr. Fernelli. I describe it as a bittersweet comedy that has elements of slapstick, action and drama all thrown in too. After originally wanting to be an actor, I first started wanting to make films when I was doing 'A' Levels at college and then went to University at UWCN to do a BA Hons in Film and Video. After graduating from there, I took my graduation film to a few festivals but couldn't seem to get regular work on anything other than for expenses, so worked in a few pubs whilst I figured out what to do. I then found a course at ARTTS in North Yorkshire whose motto was that it had "94% of graduates working in the industry" so studied Production in TV, Film, Theatre and Radio there for a year before being asked to stay and work there for a year as well, running studios, film shoots, theatre shows and helping sort anything technical, as well as schedule the course. The aim for the film is to create something very ambitious and visual around a very simple human story, that will be both very cinematic and highly engaging for an audience. Once the film is completed we want to get the film shown in festivals on each of the seven continents as it is globally appealing and I like to push to get the most out of every film I do to reward all the hard work everyone is putting into it. The last project I did for North One Television sent me all around the world and that, combined with our international crew, has made me determined to send this film as far and wide as possible so it can have the maximum impact a short film can have and showcase all the talent we have onboard. Who's in the cast and crew? We have a fantastically experienced cast and crew, starting with our lead actor Bill Thomas, who has been in pretty much every mainstream UK TV show there is! We then have Matthew Jure who appeared in 'Waking the Dead' and the 'Day. V. Lately' Yell.com ads so is becoming a recognisable face on TV screens as well and a great actor to work with. Crew wise we have producers Leilani Holmes and Graham Inman, who both worked on the Chris Jones short film 'Gone Fishing' as well Elsa O'Toole and Mike Baxter. The rest of the crew are a mix of new faces and people I have worked with on my previous projects, including the ridiculously talented DOP Azul Serra, Art Director Bianca Turner, costume designer Katerina Dipla, 1st AD Greer McNally and Makeup Designer Kirsty Phillips. You're trying to raise the money via crowdfunding. Can you tell me about that? The idea to crowd fund via IndieGoGo came from producer Leilani Holmes. After we had developed the script for a few years and as we were getting great feedback and enthusiasm from those who read it on the online forum at www.ottfilms.co.uk we thought it would be great to carry this collaborative element into the funding and production process. Leilani has a lot of experience in utilising social network tools and is a noticeable contributor to the online filmmaking community. 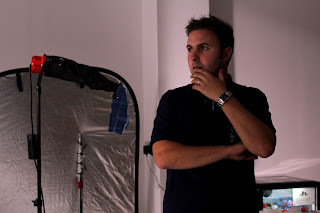 By using IndieGoGo we have been able to speak directly to our audience and build a relationship with all the other filmmakers out there across the globe as well as helping us to create a strategy and improve our ‘selling’ skills as in this highly competitive industry, you have to be able to make your project stand out and show why people should want to see it. You can’t just have a great script and expect it to get made, you have to show the faith, commitment and enthusiasm (as well as think a little outside the box) you have for it to convince people to part with their hard-earned cash. We have had a fantastic start to our campaign (which launched on July 19th) and raised $1517 in the first five days so now need to keep our backers so far engaged in the process, as well as seek new ones to raise the rest of our funding which we have set at $7500 by August 23rd. We have a number of ways people can get involved in the project, firstly by visiting our IndieGoGo page at www.indiegogo.com/clowningaroundfilm and checking out (and hopefully contributing to!) all we are doing. There is a main video there explaining the project as well as the various perks we have made available for people who want to be part of it and info about all those involved in the film and our goals. My current plan is to make 'Clowning Around' my last short film before branching into feature filmmaking and so that is why we are trying to show how big it can be and make the most impact whilst showing how good we are at telling unique and compelling stories. By creating an audience interested in our work too, this will serve us well when looking for funding in the future and showing what we can do with little to no budget at our disposal. 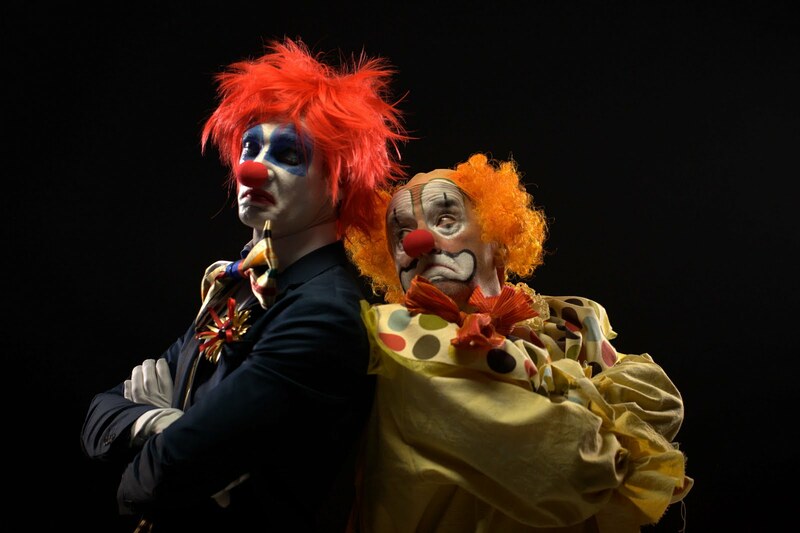 Saying that, I do have two other short scripts which are ready to be made, so I guess we will see how 'Clowning Around' goes and where I feel my next steps should be as I tend to take things one step at a time and life can change drastically in such a short space of time so I like to keep my options open. Love the post Good luck with your short film and future project.